Veneer can easily be applied to substrate i.e. plywood or MDF in 5 simple steps. i. Once the veneer is selected of, carpenters cut veneers and substrate (plywood or MDF) in appropriate sizes. ii. After cutting, glue is applied to both the sheets- veneer sheet and the substrate. Few pointers to remember while gluing is to use right kind of glue. Contact cement glue is best for paper backed veneers. And standard cold press or Better Bond veneer glue is perfect for veneering as it dries faster and creates a strong bonding. iii. The glue used is allowed to be half dry on each sheets. Then the veneer sheet is carefully positioned on the substrate. iv. Once the veneer is laid on substrate, press down the veneer with maximum pressure for stronger bonding. This can be done with suitable tool like smoothing blade. For bigger plywood sheet (especially at industrial level), vacuum press tool is used for clamping veneer to substrate. This tool applies pressure evenly across the surface which is the most important thing. For smaller pieces, one can also use clamps and weights to get good finishes veneer panel. If the pressure is not applied evenly, bubbles may form which will ruin the panel. v. Now turn over the piece upside down and chop the excess veneer (if any) with a sharp blade. The same can be done to the substrate if needed. Many carpenters use nailing technique. Here carpenters directly nail the veneer sheet to the substrate rather than go through gluing process. But let me tell you that this is not a right technique. It damages the veneer. 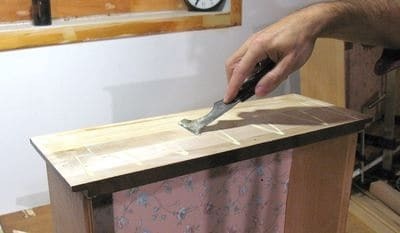 Carpenters often opt for nailing technique assuming it as a short-cut method. But the truth is that it increases labor by 30%- 40%, which is still fine as compared to the damage it makes. Nailed veneer piece furniture would look untidy with unfinished edges and cracks me be seen due to nailing. Knowing it is not a right technique, many carpenters still go for nailing veneer. Home owners need not worry for known and good carpenters as they will always opt for gluing process be it veneer or artificial laminates to substrate. Veneered glued furniture turn out to be well finished furniture that appear a clean piece of art. So do have a look for what technique is your carpenter using- nailing technique of the gluing process. 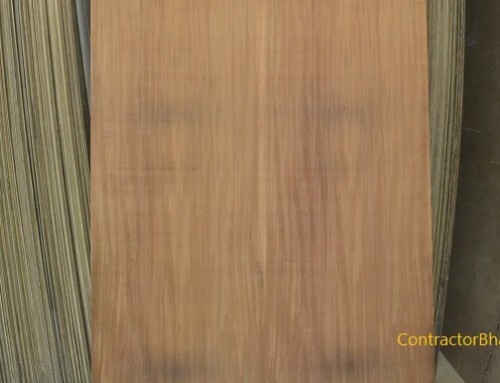 Once plywood is veneered, the veneered wood sheets are sent for polishing. You also have unpolished veneer sheets available that are polished by carpenters once the furniture is ready. No matter what polishing is a compulsory step after veneering. There are different types of polishes used to derive desired effect. The basic and much preferred polish given to veneered wood is Melamine polish. This polish gives a matt finish look i.e. it doesn’t shine like a glossy surface. Glossy polish is not preferred by Home owners as it takes away from its natural look and charm. 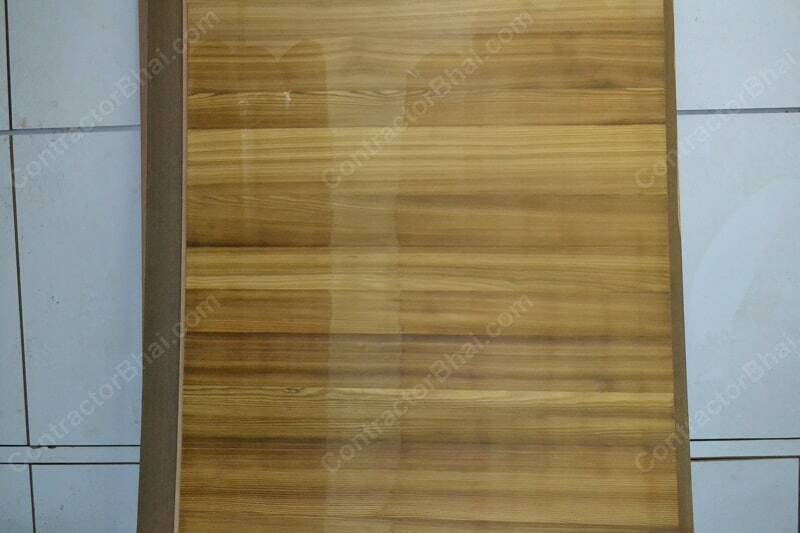 Melamine polish Veneer cost around 100/- to 150/- per ltr. i. 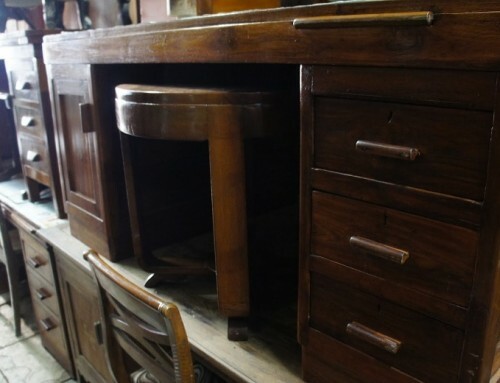 The veneered plywood sheet or furniture is smoothed with sand paper which also remove dirt settled on top. The sand paper is gently rubbed in direction of grain. iii. 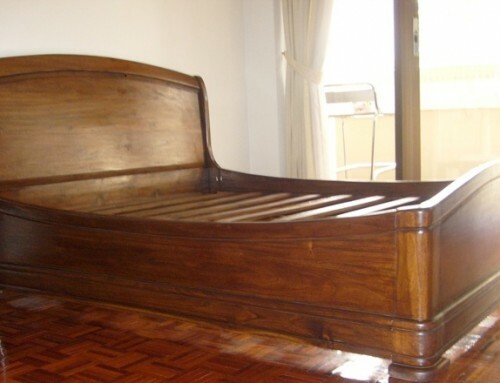 Later wood stain wax is applied which absorbs stains further and give a natural wood look. If lest for longer time, the veneer shade may get darker, so the veneer is wiped off with a cloth/mop to remove the excess stain and solution. iv. Finally the polish solution is applied to the veneer with spray machine at industrial level. v. The polish step is repeated several times to get the desired shade and effect. The same procedure can be repeated at home level using a brush and small cloth. The number of times polishing steps are repeated, the veneer will appear to be darker and glossier. You also have laminated veneer which are quite an expensive piece and is time consuming. These laminated veneered wood appear like glass placed on veneer. Depending on requirement, the veneer is laminated through repeated process of polishing. To your surprise sometimes there are 6 to 7 layers of laminates placed on veneer to acquire the best of looking veneered wood. But every time the chemical is sprayed, it is rubbed to remove dust or excess stains. For melamine polish, the spraying and scrapping process is done only once and that’s why it is available for cheaper price. Another polish that is not spoken is about is PU i.e. polyurethane polish. PU polish is rated somewhere between melamine and ruby finish polish based of its quality. The main difference is that buffing is not done to veneered wood if PU polish is to be applied unlike melamine. PU polish is directly applied/sprayed to the veneer that gives a glossy effect. PU polish is commonly available in glossy and not matt as matt effect is mistaken with melamine by most people. 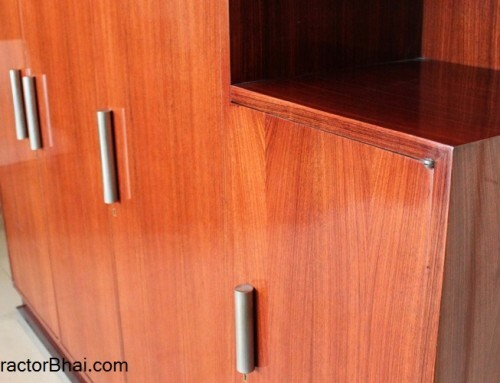 Melamine as I said earlier is available for cheaper rate whereas due to its chemical properties, PU polish is comparatively expensive which inturn makes the polished veneer wood an expensive piece. 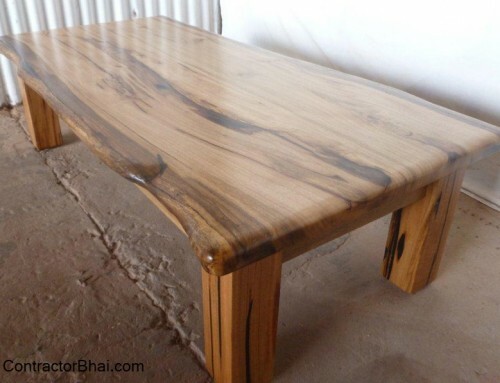 Therefore while buying, Home owners obviously choose for cheaper price polished veneered wood not knowing about different polished and its features. While buying Laminates Home owners may come across the term “Microns”. Microns mean the strength of the laminates or veneer. Usually laminates micro range from 2,000-3,000 while for melamine it ranges from 600-1,000. The latest mono-coat veneers are available at 10 micro. 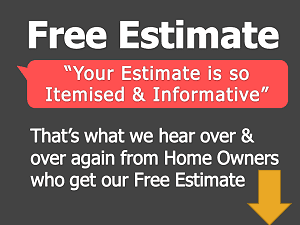 Mrs Amre, it is best to hire experienced person to do this maintenance work. Polish related materials need to be handled carefully. I have bought white veneer. After polishing with PU, it is turning cream. I want to use lamination for some sheets. THe polish person applied sealant and it is turning between cream and yellow. He is sayin white veneer will never remain white. Can u pls confirm this?